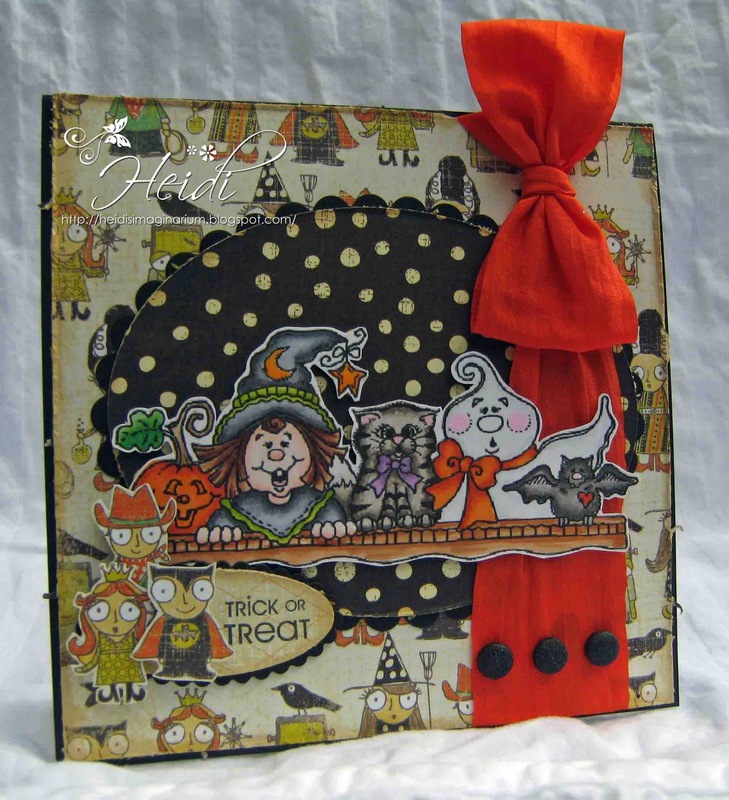 Heidi's Imaginarium: Happy Halloween Sale at Stamp and Create! Welcome back to Stamp and Create! Today we are hosting a Halloween Sale!! Receive 10% off your whole order when you used discount code spooky (all lowercase)! There are tons of stamps currently on sale for 25-50% off! This discount gives you an ADDITIONAL 10% off already reduced items!! But it's only for today! The sale ends at midnight EST. This week for our Product Spotlight, we are focusing on our Sale items. I have recently added tons and tons of stamps to our Clearance/Sale section. Many of these designs will not be restocked so grab them while you can! In honor of Halloween I made a card using High Hopes Boo Crew Border.